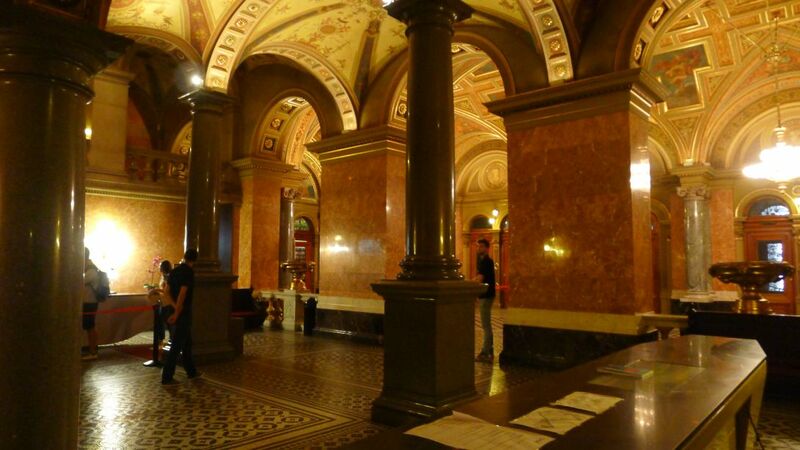 The Hungarian State Opera House is a neo-Renaissance opera house located in central Budapest, on Andrássy út. 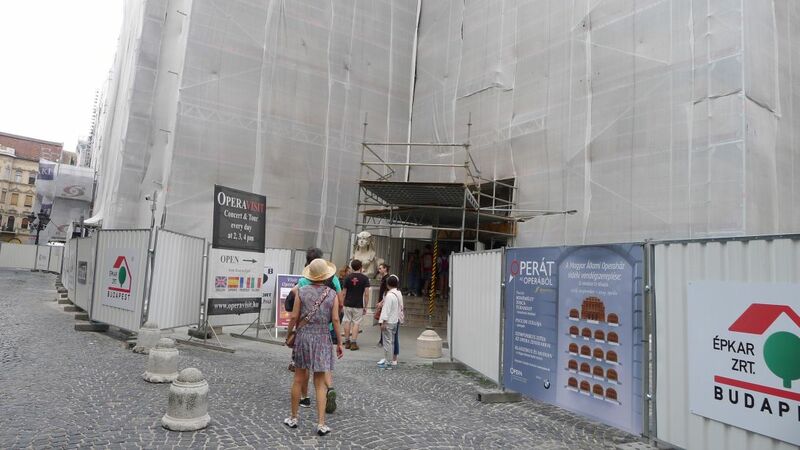 Unfortunately it was under renovation so we could not see the facade. 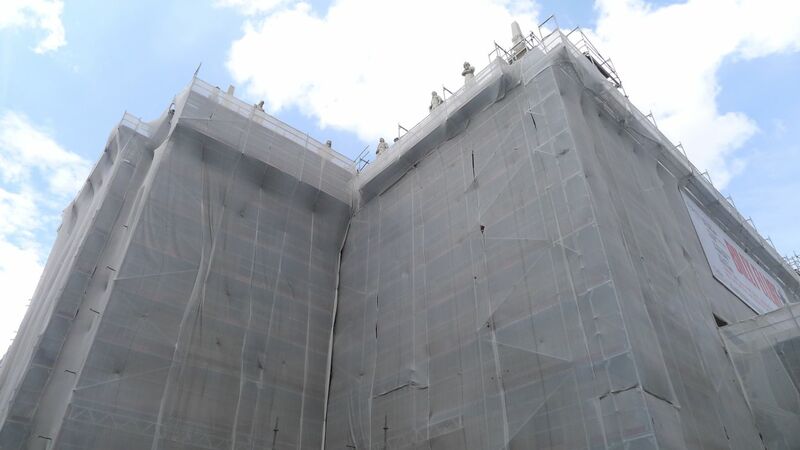 The facade was covered up under renovation. 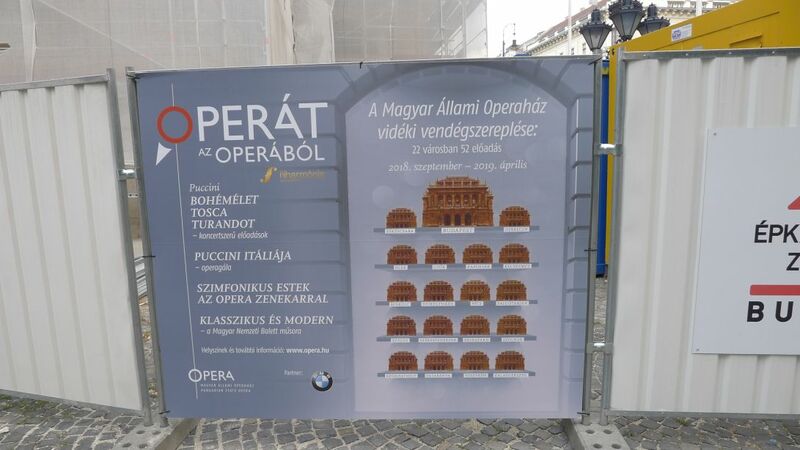 Concert are still in progress and you can buy tickets. We are entering the lobby. 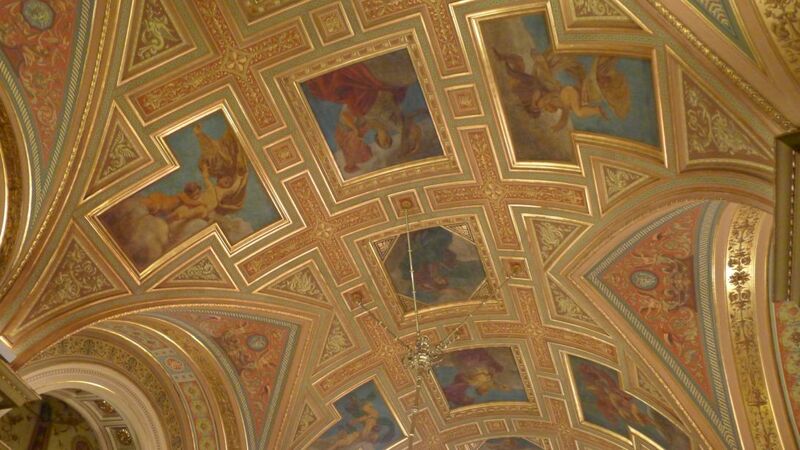 The inside is richly decorated in a Neo-Renaissance style with Baroque element. This is still in the lobby. 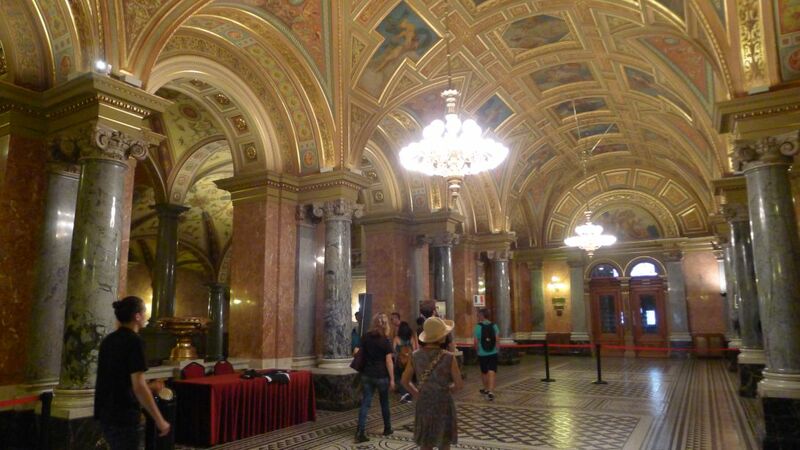 We did not get see much as it was under renovation. 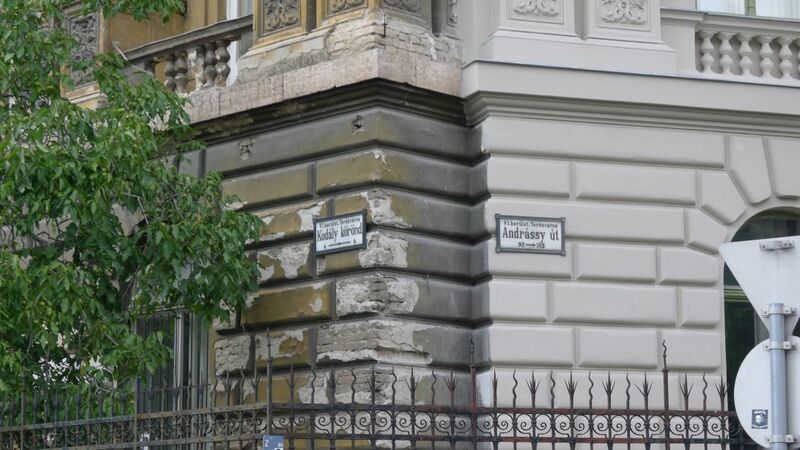 We are now on Andrássy út (avenue), recognized as a World Heritage site. 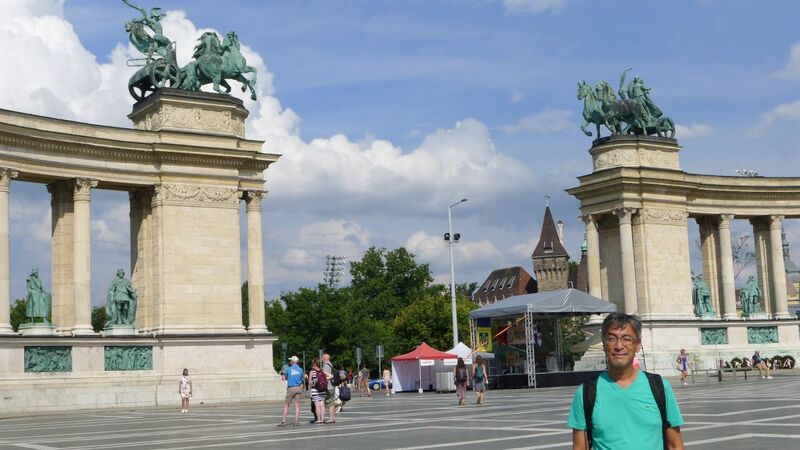 It was built to connect the city center with City Park. 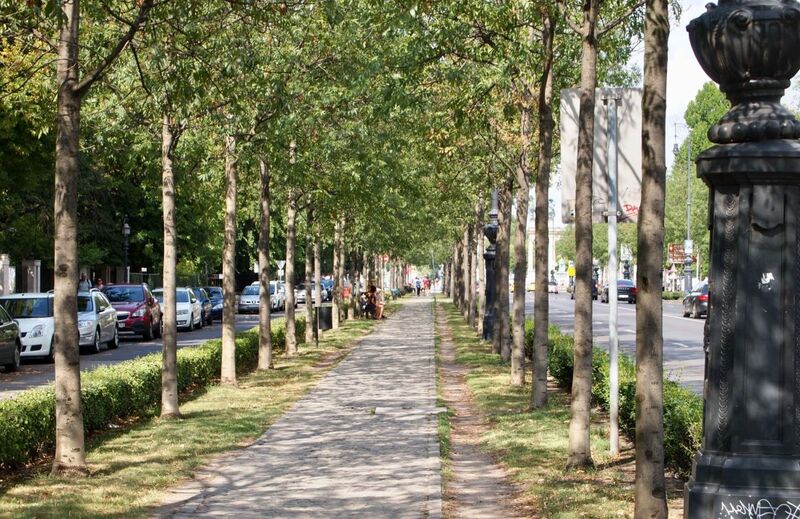 Construction began in 1871 and the avenue was inaugurated in 1885, and the iconic avenue was named after Prime Minister Gyula Andrássy who was a key advocate of building the avenue. 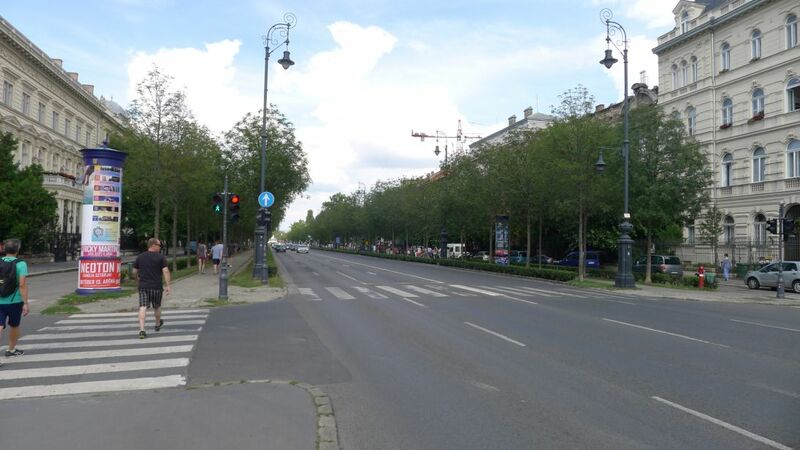 Andrássy Avenue is pretty long, it took us a good 30/40 minutes from the Opera house to Heroes' square. 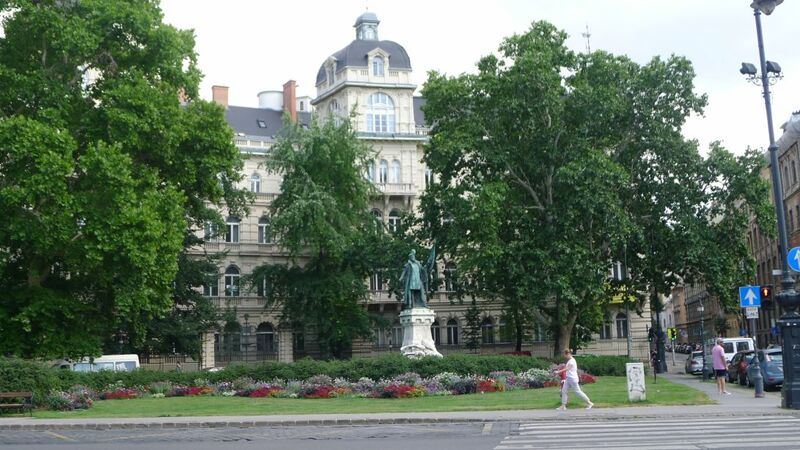 There are lots of parks and mansions on Andrássy avenue. 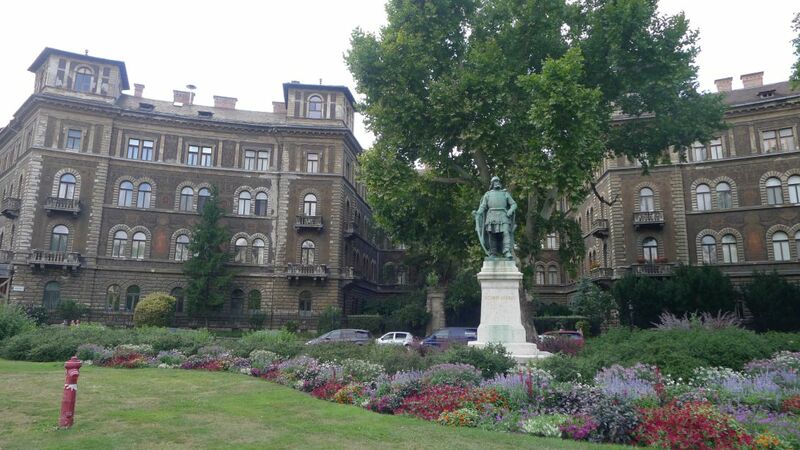 Neo Renaissance palaces and houses were built by the most distinguished architects of the time. 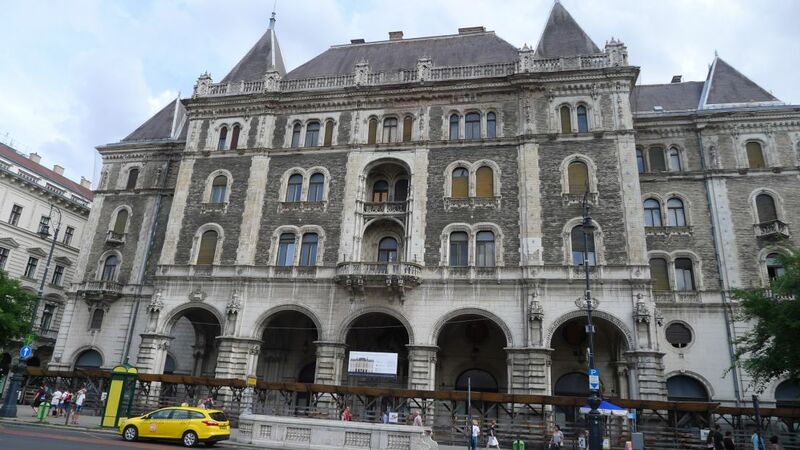 You can see that the front facade facing Andrássy was cleaned up recently and is sparking. The side has not been touch and you can really see the difference. Here is a close up view between renovated (right) and it used to look like on the left. 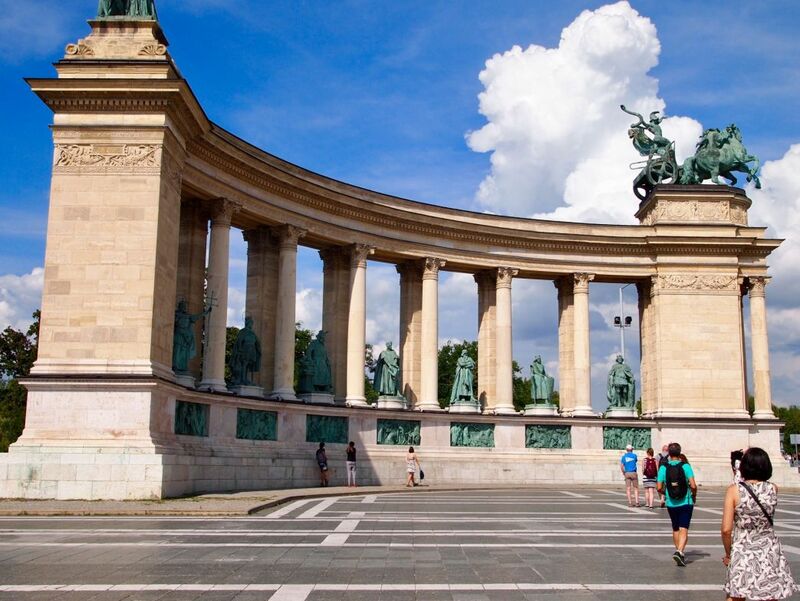 At the time of its completion in 1885, Andrássy út was considered a masterpiece of city planning. 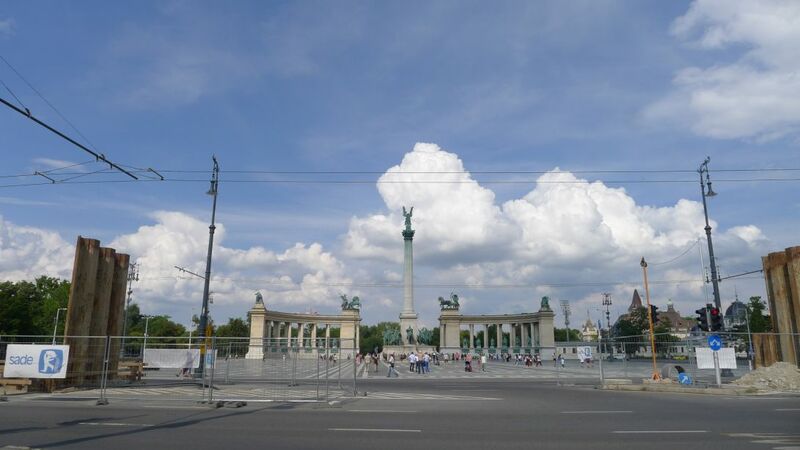 Heroes' square in the far end. 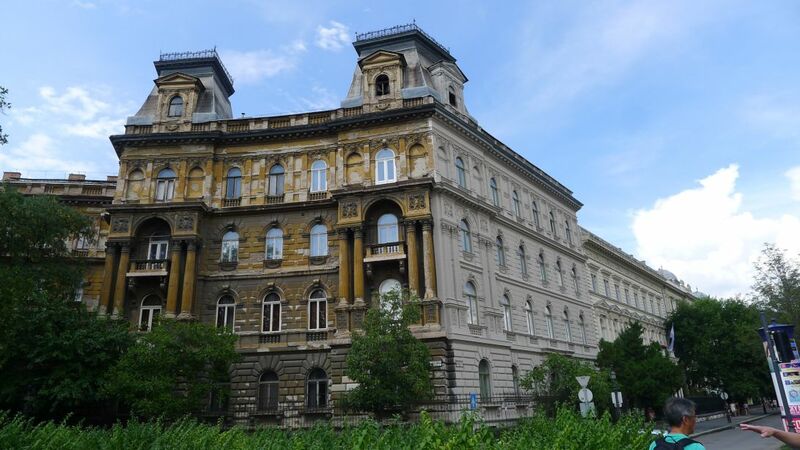 Across the street from Heroes's sqaure is the Szépművészeti Múzeum- Museum of fine arts. 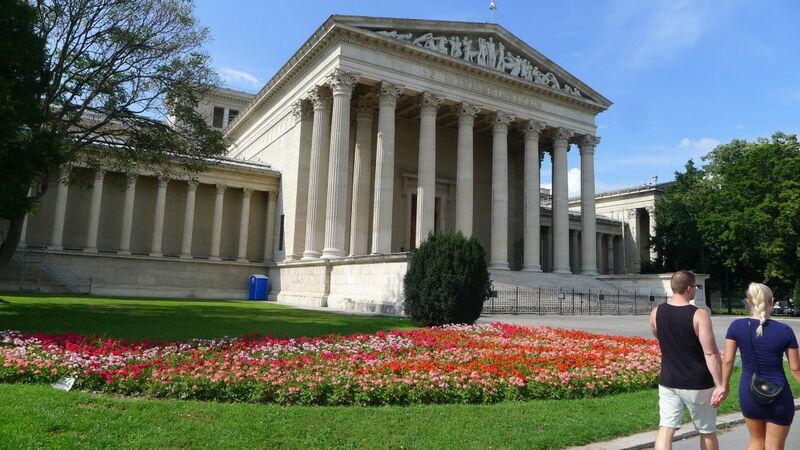 a Greek-like temple that tall columns. We are getting closer to Heroes' square . 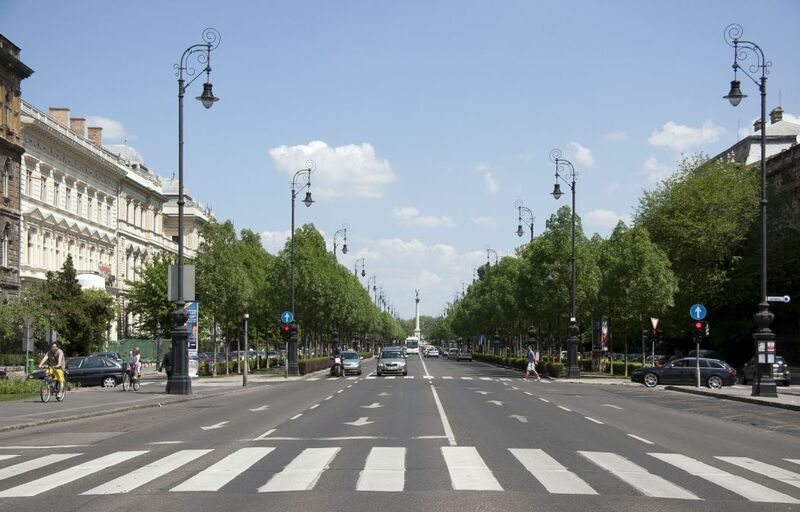 The intersection of Andrassy avenue and the Grand Boulevard is shaped like an octagon hence its name: Oktogon. 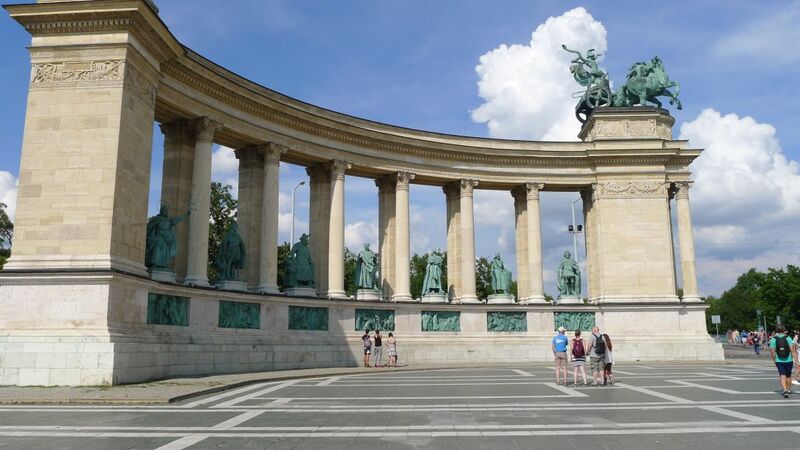 At the center of Heroes' Square stands the Millennium Monument, designed in 1894 by Albert Schickedanz and completed thirty-five years later. 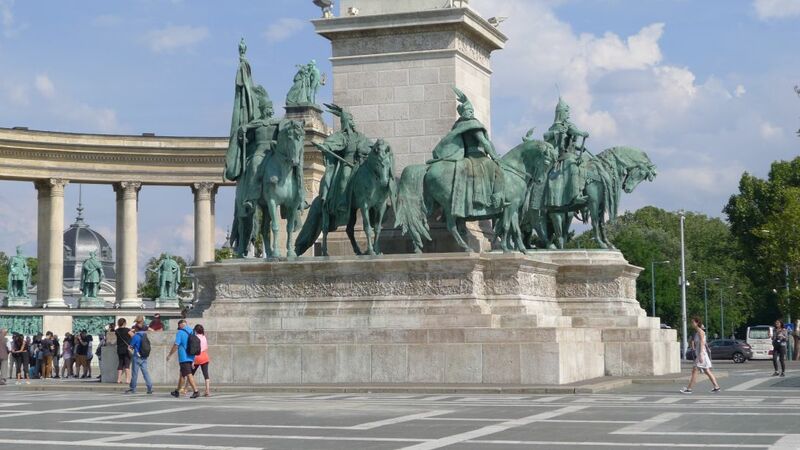 The many statues were designed by György Zala. 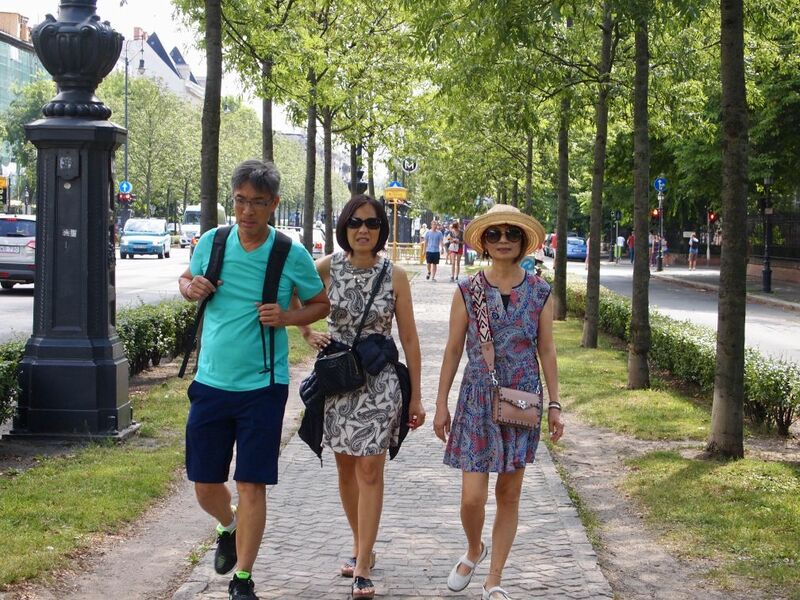 Just crossed the street and we are now walking in Heroes' square. 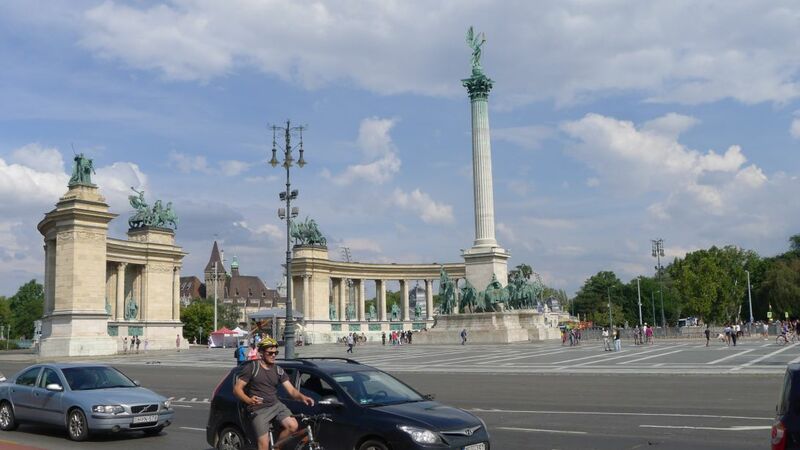 Both Heroes' Square and Városliget (City Park), the adjoining city park, were created at the end of the nineteenth century to commemorate the thousandth anniversary of the Magyar conquest of Hungary in 895. Since many of the attractions weren't ready in time the festivities were held one year later, in 1896. 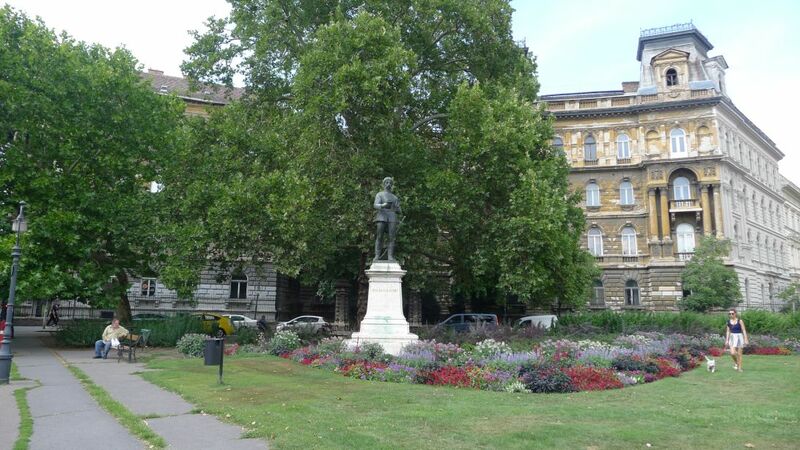 The square only received its current name in 1932, three years after the completion of the Millennium Monument. 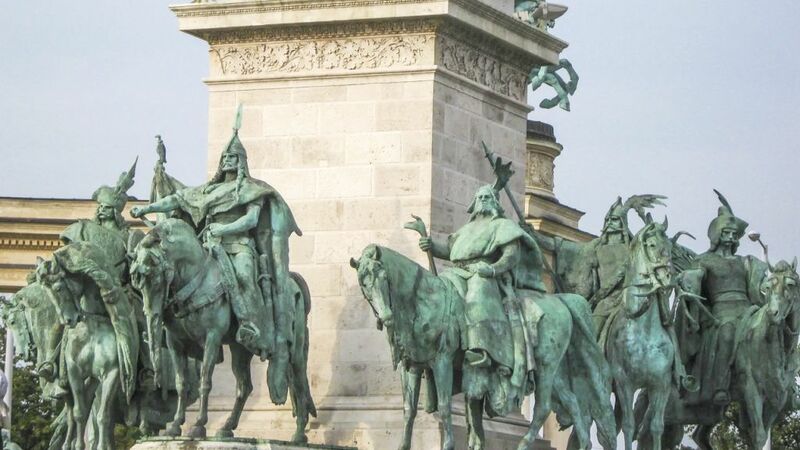 Around the base of the monument are a number of equestrian statues honoring the seven chieftains of the Hungarian tribes who, led by Árpád, conquered the area now known as Hungary. 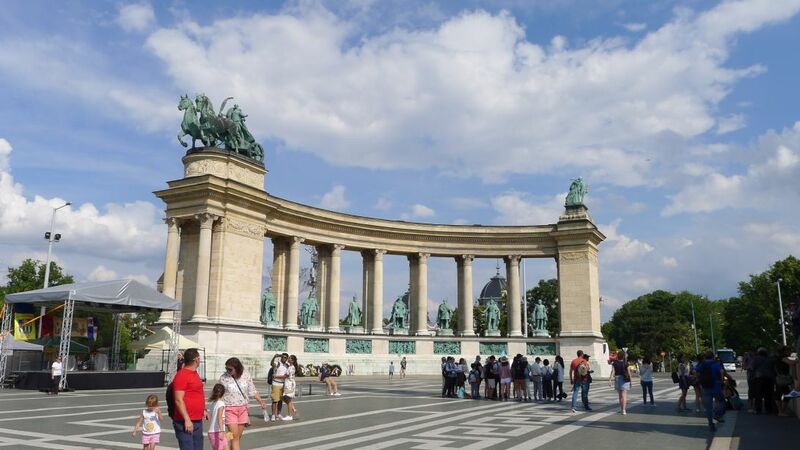 Behind the column is a semicircular colonnade with statues of famous men who made their mark on Hungarian history. 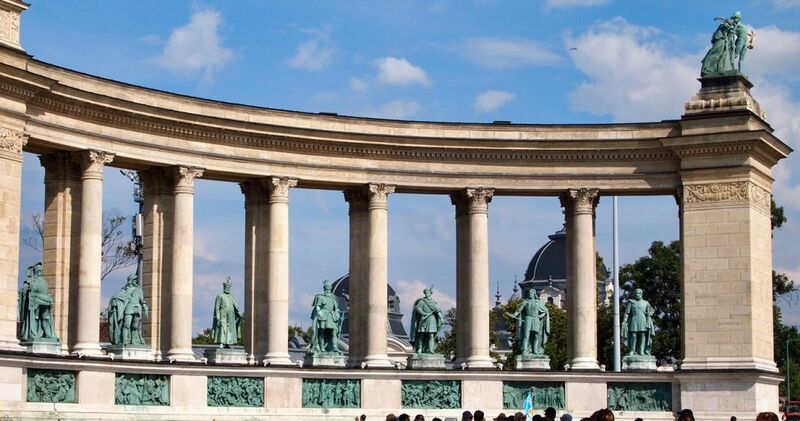 Statues atop the colonnades symbolize War, Peace, Work and Welfare, and Knowledge and Glory. Closer look at the statues.